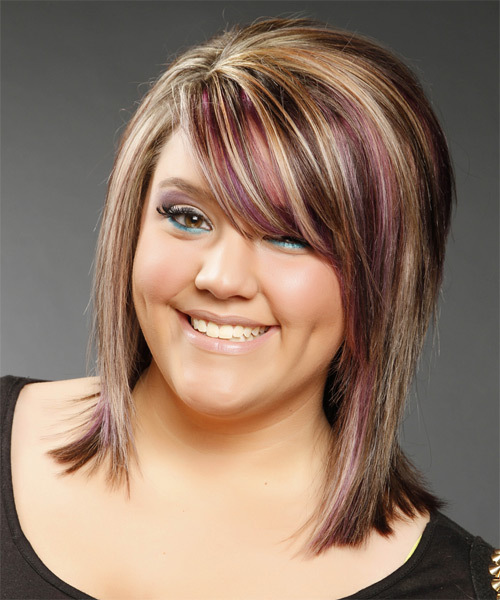 Medium to long layers are cut all through this multi-colored mane, then blow-waved smooth to achieve this fantastic shape. 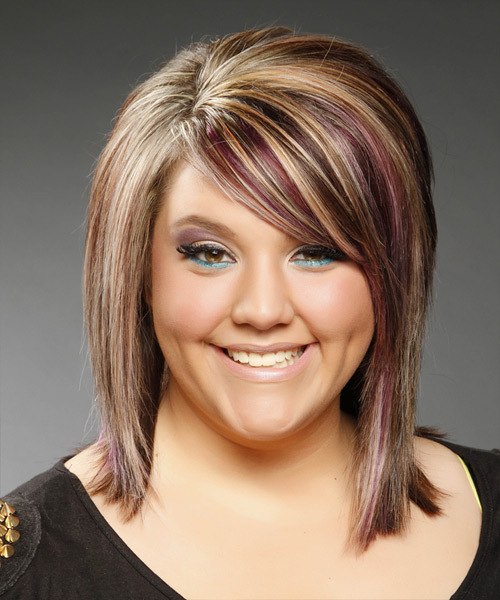 The crown is teased to add height and lift making this head-turning 'do perfect to compliment a round face. Product is needed for shine and hold and regular trims will help maintain this shape.